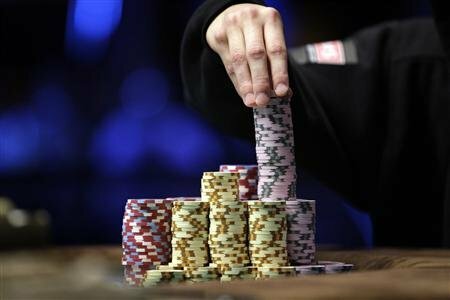 Casino gambling is on a constant rise in south Florida, which in turn has created a demand for professional poker dealers. The laws are regulated by the Florida Department of Business and Professional Regulation’s Pari-mutuel Wagering division. Any person interested in getting employment at a casino will need to meet the criteria set by the division. Determine the eligibility criteria on your own. Make sure that you do not have an extensive criminal history, specifically related to gambling which may include shoplifting, gambling debts etc. If you fall into this category, you will automatically be rejected for the job. Your first task will be to download the application from the PMV’s official website. The application title will be ‘cardroom employee occupational license’. You can further obtain the application in person or get it through mail by contacting a PMV representative at 850-487-1395. Now fill out the application with all relevant details. Make sure that you don’t leave any questions unanswered, even if they are related to criminal record. You will further be required to provide your fingerprints, which can be verified by the department by taking the help of FBI. After filling out the information, sign the application and send it to the PMV department. The address will be provided on the application. Make sure that you also mail a check in the name of the Department of Florida for the desired amount (somewhere in the region of $50). You will be required to get the necessary certification in order to get a poker job at a casino. There are many dealers’ schools in Florida which will charge you a fee and will hand you a degree upon completion. You will be required to pass a written test and complete a 120-hour course. These lessons will be based on different poker versions such as Texas hold ‘em, Omaha etc. Upon finishing the course, you will acquire a work permit, which will complete all the certifications.